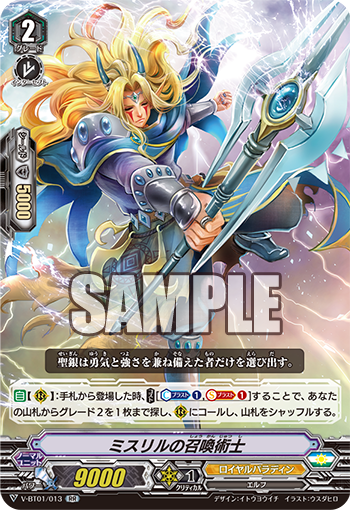 The Japanese Card of the Day for May 17th, 2018, is Royal Paladin's second 9k grade 2 of the Standard format and the clan's final Double Rare from V-Booster Set 01: UNITE! TEAM Q4, Conjurer of Mithril. The original Conjurer of Mithril was a Devil Summoner clone that could superior call the top card of the deck for free as long as it was a grade 1 or 2, but had an extremely low 7k base. The English format never got the promotional version of the card--which in Japan was distributed in the packaging of the franchise's first Nendoroid figures--but instead saw Mithril included as an additional Rare in Booster Set 5: Awakening of Twin Blades. Fittingly, the new Mithril is the weakest grade 2 in terms of base power, but has a strong superior call skill that can fetch any number of powerful units. 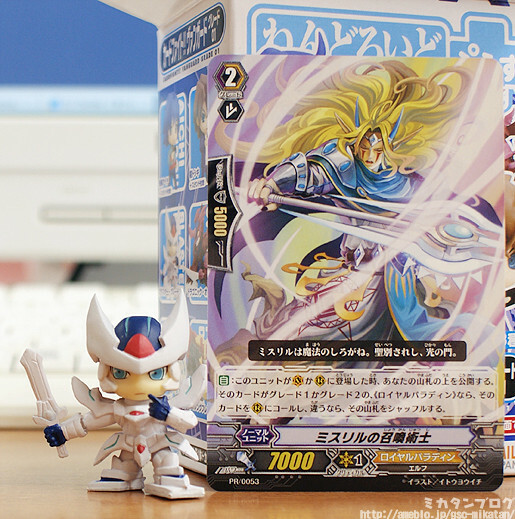 The original Conjurer of Mithril, with Blaster Blade Petit Nendoroid. In that respect, a playset of Mithril can effectively substitute for other cards and help you get away with running fewer copies of them. As it stands, Mithril has two primary targets that can help advance Royal Paladin's Soul Saver Dragon endgame; High Dog Breeder Akane and Funnergal. I point to these cards in particular because they both have a means of soulcharging that offsets Mithril's cost while allowing you to retain or build on the +1 from his superior call. Akane's own on-call counterblast can further superior call Pongal to soulcharge 1, while Funnergal can soulcharge every time he's boosted; although Akane brings you more immediate card advantage, over two turns Funnergal will pay back that soulblast investment, speeding up your Soul Saver turn. If you call Mithril on your grade 2 turn and fetch Funnergal, you can get Soul Saver going as early as your second grade 3 ride. The missing piece to this puzzle is Alfred himself. While we've already seen Perfect Raizer and Imperial Daughter, the Vanguard Rare for Royal Paladin remains under wraps. It's hard to imagine Alfred not advancing their overall game state with superior calls, given the card's track record. Presuming that much, the only thing that would upset this list is the still-unrevealed V-BT01/043, a grade 2 or 3 Common that could displace Mithril or Funnergal depending on its skillset. 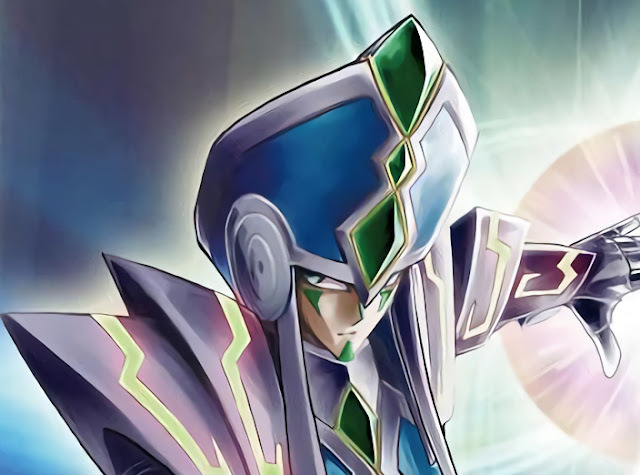 Royals have no other grade 1s left to reveal in the set, leaving Sage of Guidance Zenon--one of their key cards from the manga the new anime series is adapting--strangely unrepresented. The previous Japanese Cards of the Day were Victorious Deer and Petal Fairy.